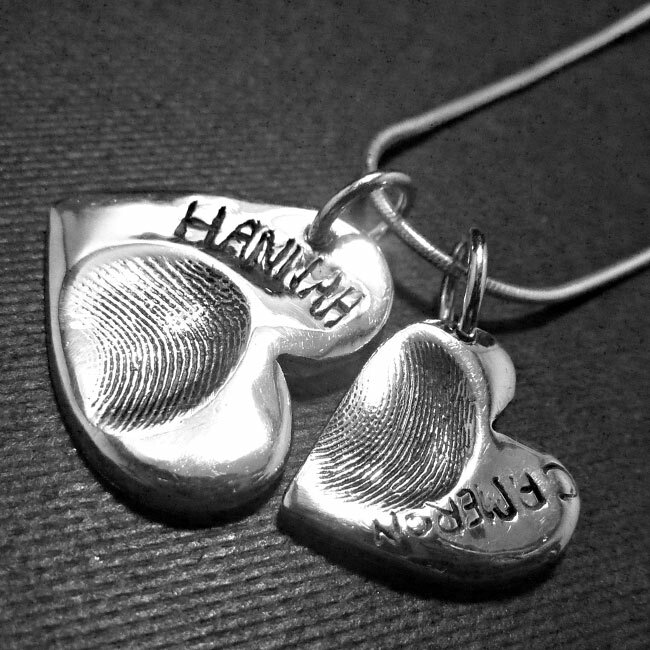 Two silver fingerprint hearts with names engraved. 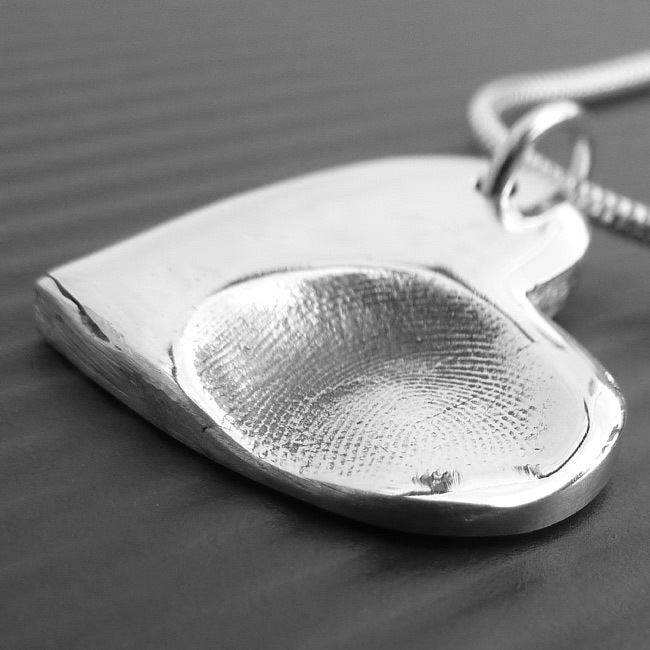 Every piece of fingerprint jewellery we offer comes with a personal touch that you can cherish forever. Choose 1, 2 or 3 hearts. SKU: N/A. Availability: In stock Size: N/A Categories: All Jewellery, Necklaces, Commissions. Tags: bespoke, commission, commissions, fingerprint, fingerprint jewellery, handmade, jewellers, jewellery, liverpool, LWSilver, necklace, north west, silver, silversmith, unique, wedding rings, wirral. 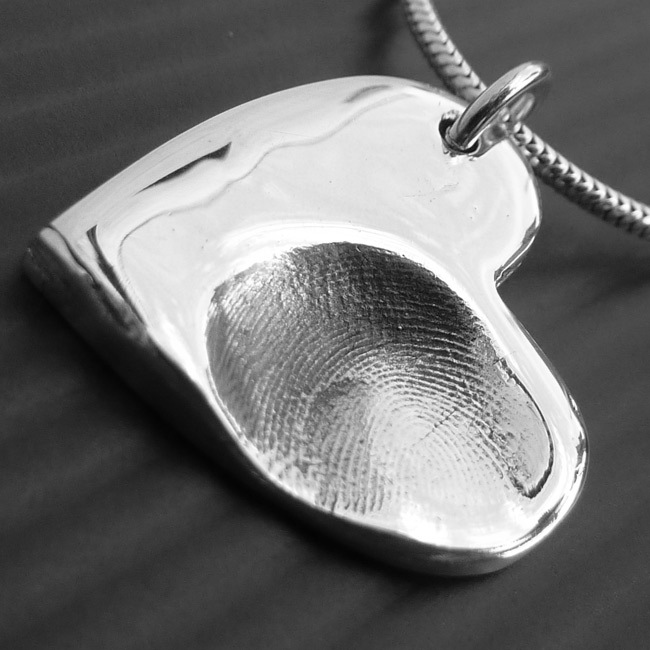 The silver fingerprint heart Necklace is handmade with names engraved. 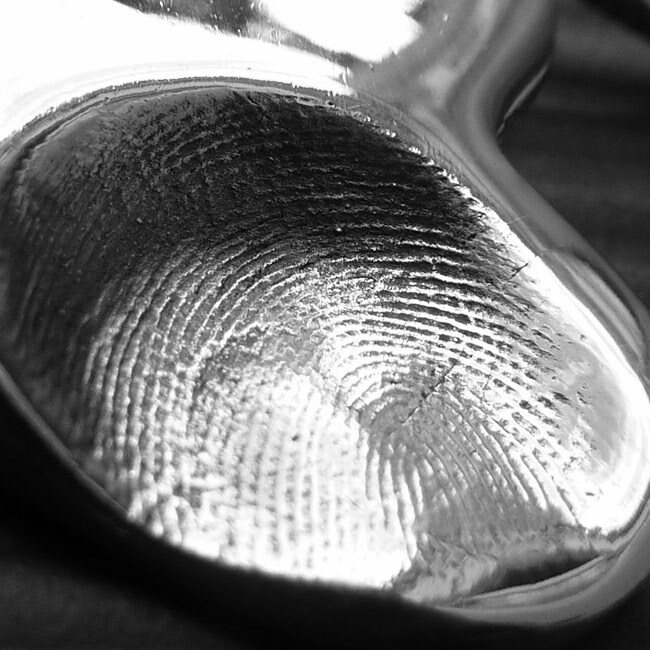 Every piece of fingerprint jewellery we offer comes with a personal touch that you can cherish forever.